This course will utilize LEGO Mindstorms EV3, a robotic system developed by LEGO company and MIT. 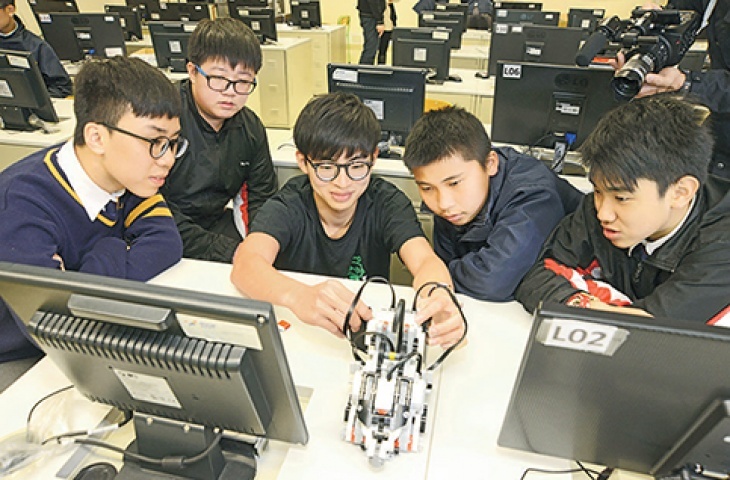 Students will build and control different robots, and will learn how to control robots to move by programs. For example, programming the robot to stop when it detects a line on the floor. Understand different technologies in robotics. Learn the method to control the robot behavior by programming individual components. Cooperate with peers to solve problems. Max. 6 students per class. Education kits specially designed for younger kids let students learn building robots and coding without watching computer screen. Students develop logical thinking, teamwork and communication skill. Class photos with completed works can be put into primary school admission portfolio.